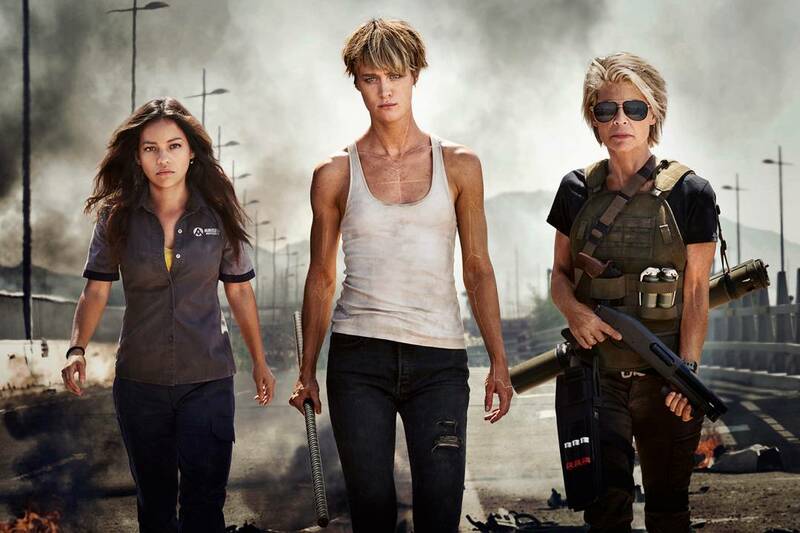 Thankfully ignoring anything and everything that’s come since the dying minutes of Judgment Day, the all new Terminator has started shooting and has today released its first pub shot – and our first look at what has happened to Linda Hamilton’s Sarah Connor all these years later. And she’s looking fighting fit and ready to rock. Here Hamilton is pictured alongside Natalia Reyes, rumoured to be the female lead of the pic, and Blade Runner 2049’s Mackenzie Davis who, judging by the marks/scars on her body looks to have had some possible Terminator work done.